Announcements of livestreams and catalogs of previously recorded livestreams. Old-Schooled has bid a fond farewell to Tower of Games and moved things over to HiScore Gaming Center in Chesapeake. Although we’ve had a lot of fun times at Tower of Games, with the end of their cybercafe it was time to move things elsewhere. HiScore is a gaming-centric cyber cafe that does a series of tournaments and lock-ins in the area and they’ve been kind enough to let us use their facilities for the tournament. With a new venue comes a few changes. First of all all prizes will now be in cash. Second, because we’re doing cash prizes the tournament will be $7 entry, or $7.50 if paid by credit card. $5 of every entry fee goes straight into the pot for the tournament winner, which will still be split 60/40 between first and second place. Naturally a new Old-Schooled means a new Preshow, and that was broadcast earlier today. Check back next week for another installment of more Retro Gaming Fun. This could be the rest of the stream folks! My Death was Shittier than Yours! Have Fun Stormin’ the Castle! 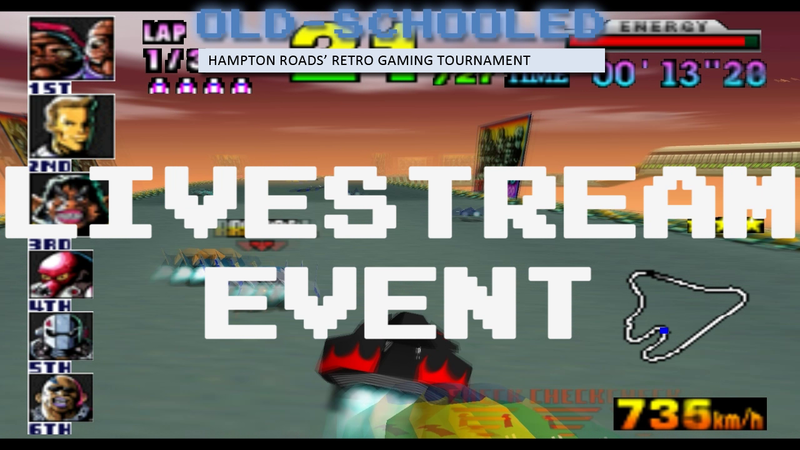 After the success of streaming Old-Schooled #14, I have stared a series of preshows for each tournament that begin at 3PM on Saturdays. The preshows feature games to be played during the upcoming tournament, and show off some of the final round games to be played.